Lots of covers, huh? If you'd told me back in 2004 when I was writing this book that it would still be alive and kicking 7 years later, having had 4 covers/publishers, I would have laughed. But it has been a fascinating journey and I'm very grateful. 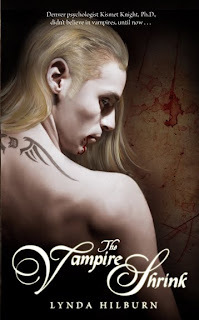 The brown one of the vampire with the tattoo on the bottom was the first cover from a small press. 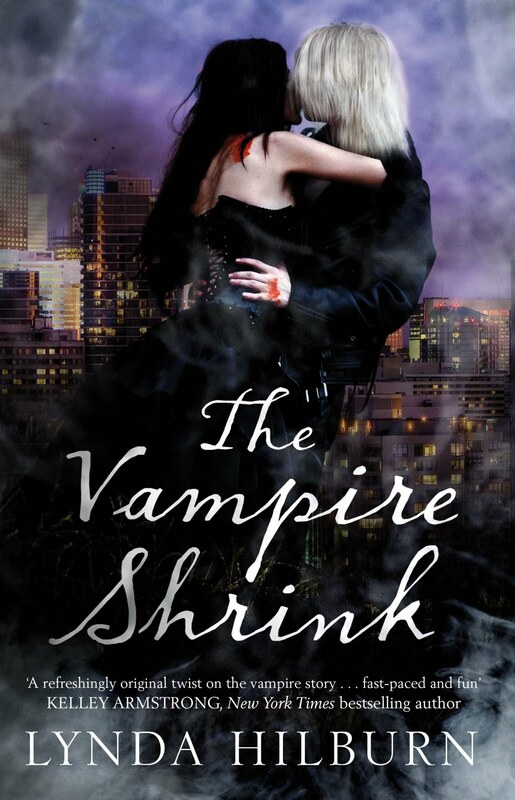 The one with the vampire carrying the woman was the cover I used when I self-pubbed the book and it became an Amazon best seller. The one with the cool purple back ground is the expanded/rewritten British version from Quercus/Jo Fletcher Books. And the one with the newspaper ad is the new (also expanded/rewritten) USA version coming from Sterling Publishing/Silver Oak on April 3, 2012. My publishing journey has been a long, strange trip! 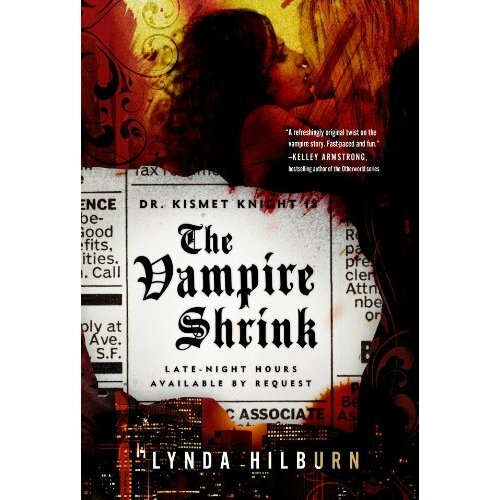 The Vampire Shrink first came out from a small publisher in 2007, and the second book in the series (at that time), Dark Harvest, followed in 2008. The publisher and I parted ways and because my then-agent retained the e-rights for the 2 novels, I put them up myself on Amazon and Smashwords. They became best sellers and drew the attention of my current agent, who put together a new, 3-book deal for me. Quercus Publishing in the UK, in a joint effort with Sterling Publishing in the USA, would be putting out an expanded/rewritten version of The Vampire Shrink plus two additional books in the series. The first book came out in the UK/Europe first (Sept. 1, 2011) and will release in the USA on April 3, 2012. The only kindle version that will exist will be the British version. Sterling Publishing will put out Nook, Apple, etc. versions 4/2012. My new editor, Jo Fletcher, and I decided the old book #2 skipped too far ahead in the series arc, so we agreed that I would write a brand new book #2 in the series, Blood Therapy, which I'm finishing up now. That book should come out first in the UK/Europe sometime in 2012 (I think) with a Kindle edition available at the same time. The USA publisher will likely put out the American version of book #2 in early 2013. The old book #2 (Dark Harvest) will be rewritten/expanded and might turn up as book #3 or #4. I don't know yet! Wow, the one with the newspaper is definitely my favorite! So unusual! True, 'la ciencia vampirismo' manifests in many forms. Unlike some sites, you highlight them all! I like the new line on elves... that they're humans turned on the cusp of puberty and the pointy ears, along with other features, are the result of strong growth and maturation hormones able to survive for a bit after 'death.' Come visit. We'd love to share lore and secrets with you. YOUR LINK WILL NOW BE ADDED TO OUR LINK LIST located at the bottom of our 10/3 post...THANK YOU! That really is amazing. How wonderful that you have had such great covers and all for the same book.